OK, you want some links, I give you some links ! First of all, do not hesitate to get in touch with Jean-David MORVAN (writer of Spy Games) on his facebook page or his Photo facebook page. He’s a great writer, a great photographer, a great guy ! Then, do no miss (also on Facebook) the work of Hyun Jin Kim. 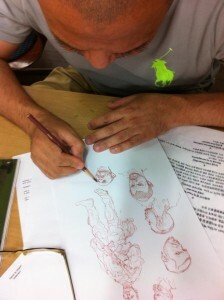 He’s working regularly with KJG ans he’s a wonderfull artist too. SuperAni is the official site for KJG in Asia. Plenty of great artists there !